Compact lamp head with conveniently placed switch. Flexible metal arm in matte black. 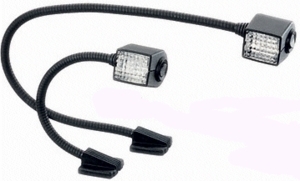 Includes 12V 5W bulb and snap-on red lens for protecting night vision.